Okay, I know it’s a mouthful to say, but once you have a mouthful of these bars you’ll never forget the name. 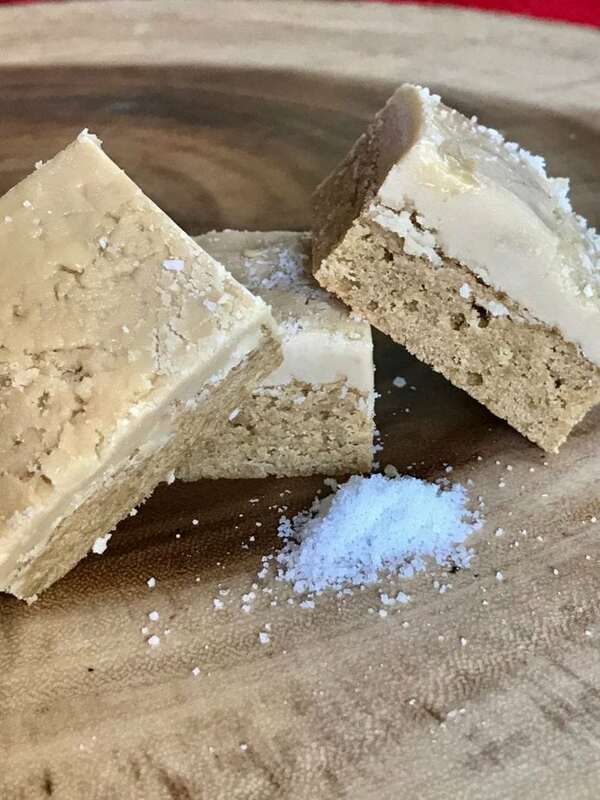 Delicious, rich, moist, just the right amount of sweet and salty, with a touch of that decadent and nutty browned butter taste that enhances the cookie tremendously, topped off with…wait for it…salted caramel frosting! Shut the front door! These are out of this world, if you like caramel, butter, sweet & salty mix. I was looking for something a bit different for a swim team potluck a few weeks ago and came across this recipe that I had tucked away. Don’t be afraid to brown butter, it’s really not that hard, but you do need to stay on it. I discovered these from The Recipe Critic and they are winners! Check her blog out, it’s darling and has wonderful recipes! 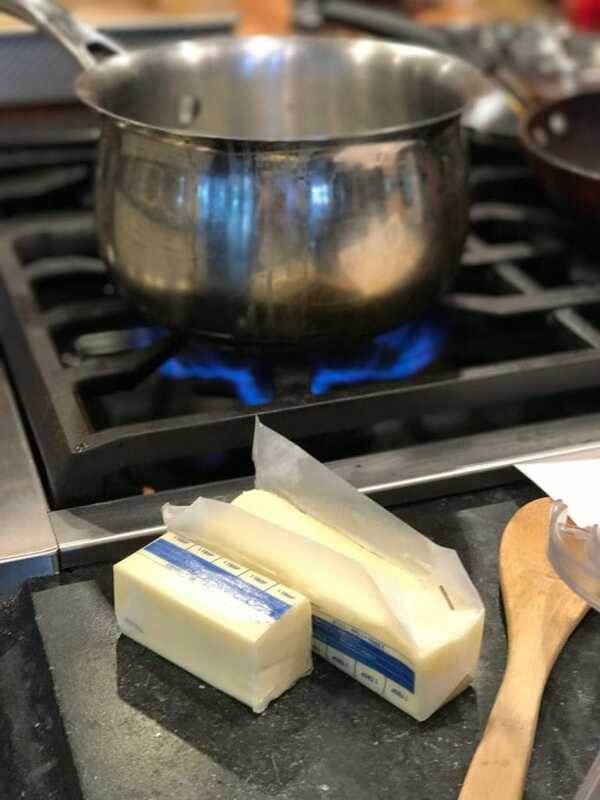 Start over medium-low heat and melt your butter, once it’s melted watch it closely. 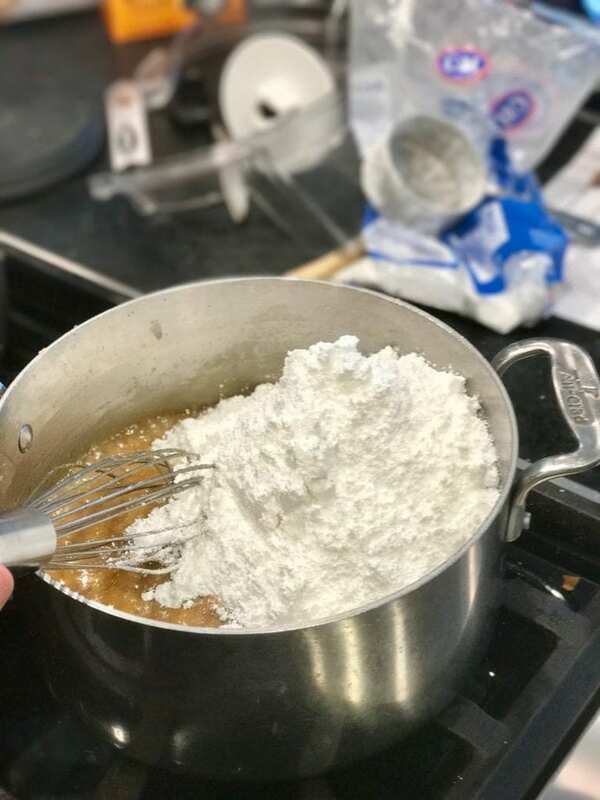 Once melted bring to a simmer, whisking constantly, it will start foam up slightly just before it starts browning, continue whisking until lightly browned. 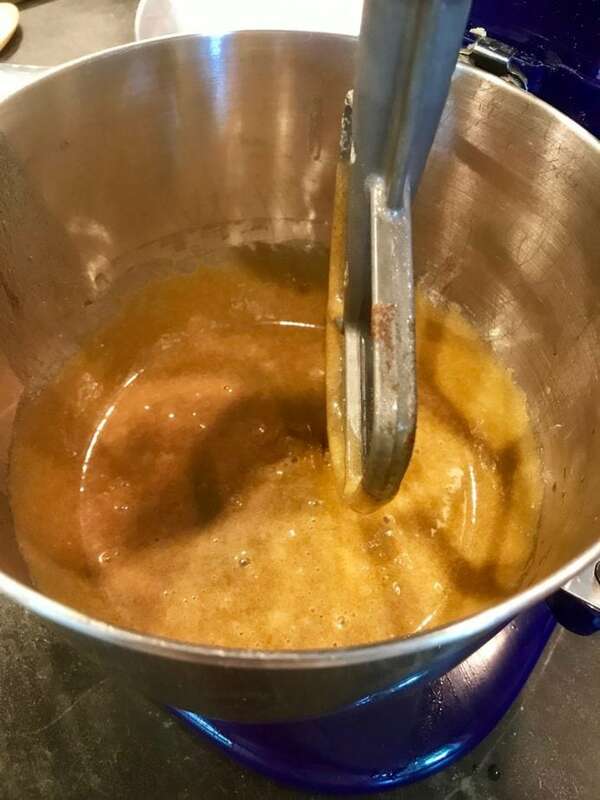 Remove it from the heat once it’s giving off a slightly nutty aroma and is a beautiful caramel color, careful you don’t burn it. Remove from heat and allow to cool while prepping the rest of your ingredients. Next, add your dark brown sugar and regular sugar, I used my usual unbleached natural cane sugar. 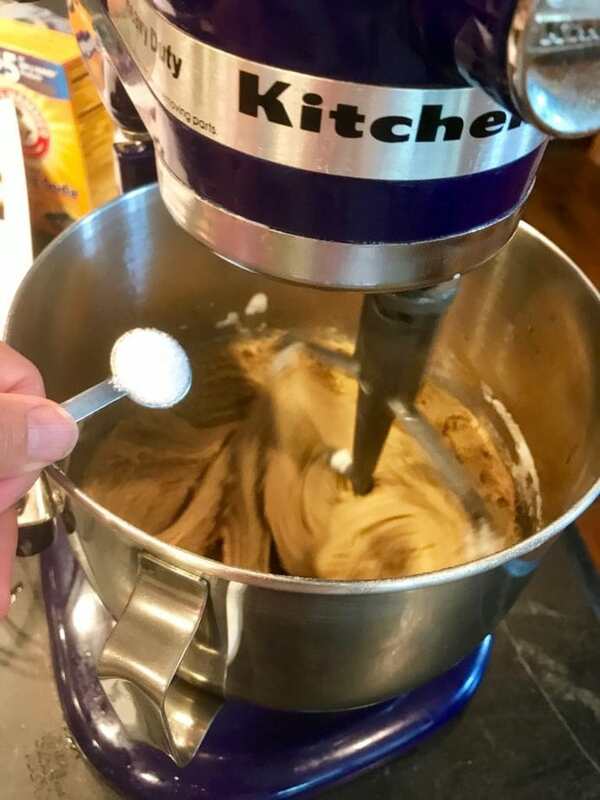 With mixer on low speed, slowly mix in your slightly cooled butter into the sugar mixture, mix until smooth. Next, add your eggs and mix on medium speed for 2-3 minutes until mixture is well creamed. Measure your flour and pour in while mixing on low. It’s should now be the consistency of peanut butter. In fact, it looks a lot like peanut butter! Pour into prepared pan, I just lined mine with parchment for easy lifting out to slice. If you don’t line your pan, be sure to spray or grease well. Use a spatula and spread to corners. Bake as directed, under-baking slightly, I kept mine in for an extra couple minutes and I shouldn’t have, they would have had a chewier bite had I taken them out on time. Remove from oven and cool before frosting. I baked for 22, I’d go for 20 and keep it at that. I personally think the frosting would have spread better had I spread it on only slightly cooled cookie bars, kind of like a sheet cake, but they still worked great and were delicious! 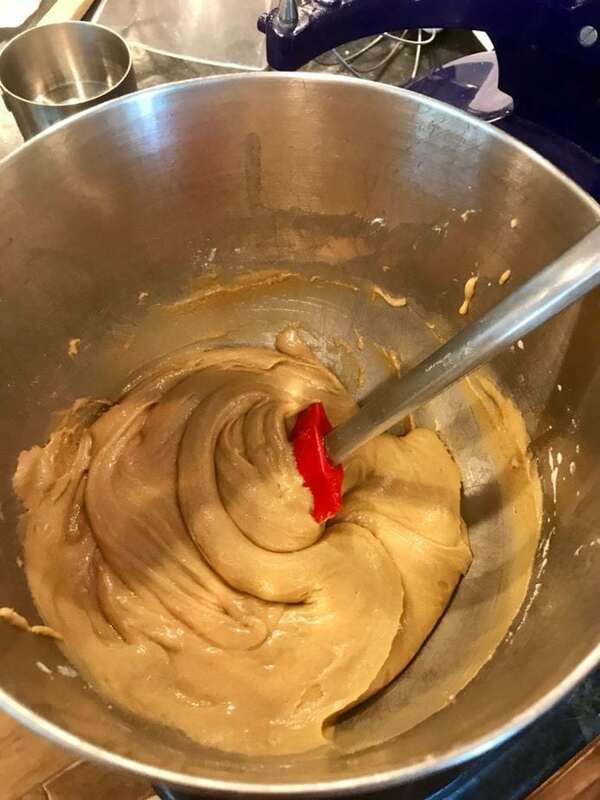 While baking your cookies, make your frosting. 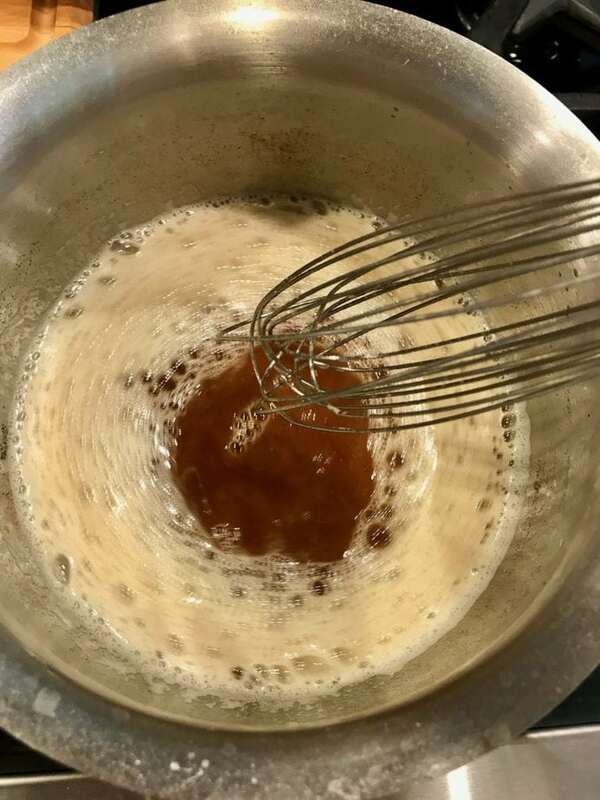 Melt your butter and brown sugar together in a saucepan over low heat, allow to come to boil and whisk in the milk and return to a boil. Only ¼ cup milk, not a whole cup like I did for my first batch, but all is not lost, I made it into a lovely vanilla caramel sauce that is delicious drizzled on top of ice cream, poured over apple pie or drizzled over strawberries. Remove from heat and stir in powdered sugar, whisking until smooth. 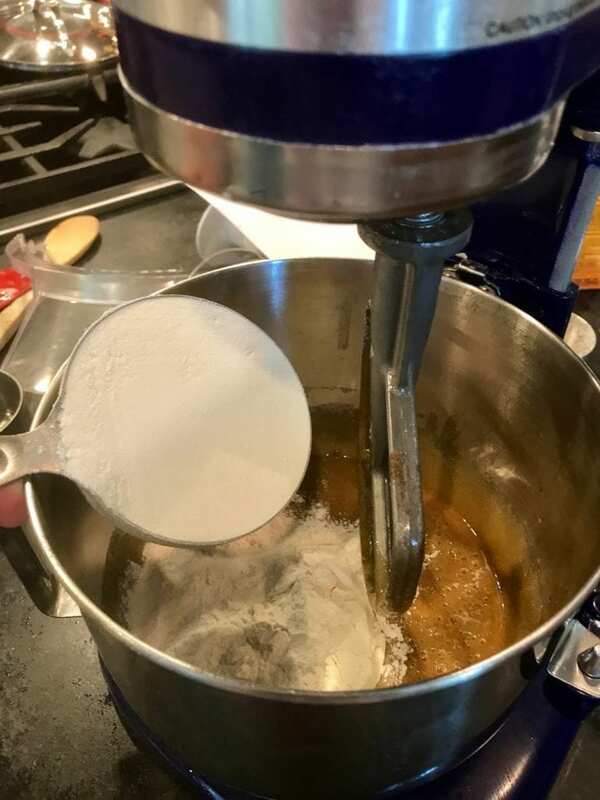 I ended up pulling out my handheld mixer and just whirred it for a minute or so to remove those lumps of powdered sugar. Once cooled, spread frosting on top of bars. If easier, lifting out bars from pan. Spread the frosting over the cooled cookie bars. After you’ve frosted them, be sure to sprinkle a little sea salt. I used a little Fleur de Sel because it makes me a bit crazy! Those little tiny pieces of salt that are filled with HUGE flavor. Take little pinches and just sprinkle over the top of the bars. Obviously, omitting if you don’t like the salt, but if you haven’t tried it, oh please do! 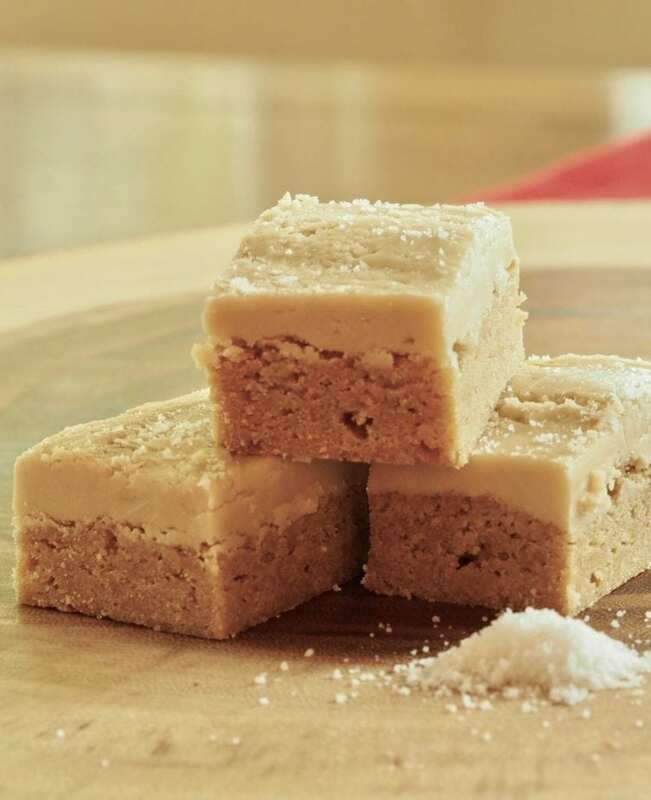 Slice into small squares, these go a long way since they are so rich! TIP: Using parchment lined pans makes cutting the bars as easy as cake, pie, bars! Just lift them out of the pan onto a cutting board. Using a nice long knife, I run the blade under hot water so the blade slides right through the frosting, wipe the blade with a paper towel after each cut, this will remove any cling-ons from the bars (not to be confused with Klingon’s. Yes, it’s true, I admit it, I’m a “Trekky”). This works great for brownies as well, though with brownies since I like them undercooked, I typically freeze them first, let them thaw for about 10 minutes, then slice away using the above directions. Chewy, moist, caramel-y delicious! With a to die for salted caramel frosting. Line a 9×13 pan with parchment paper or spray with oil. In medium sized pan add the butter and cook over medium heat and whisk well. The butter will foam up and then calm down, keep whisking until you see the butter start to turn a golden brown, it’ll take 2-3 minutes. It’ll give off a nutty aroma. 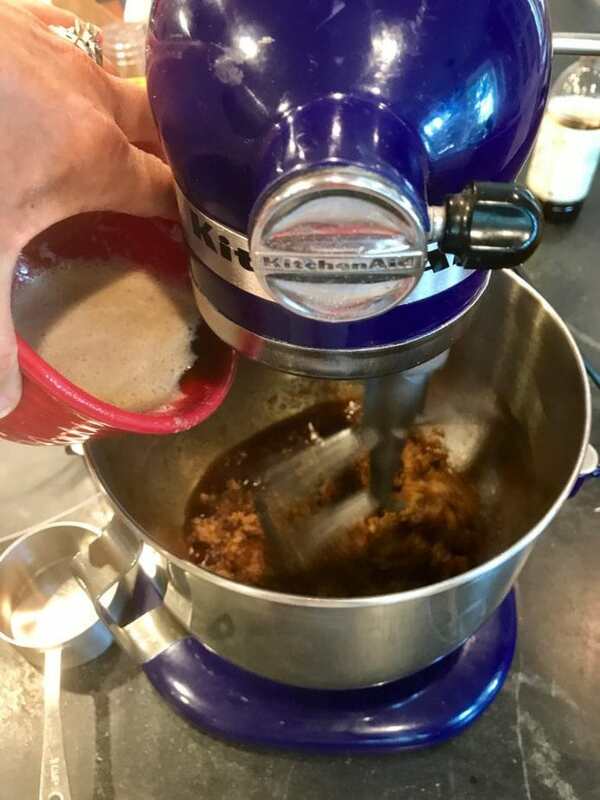 Meanwhile, place your dark brown sugar and regular sugar in the bowl of a mixer. 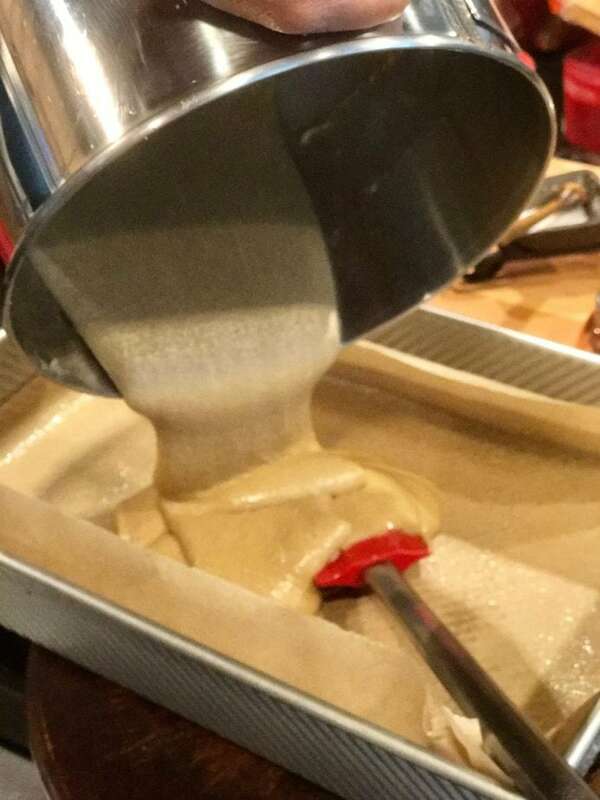 Combine sugars with vanilla, and slowly pour in browned butter. Add flour and salt and mix until just combined, careful not to over mix. Scrape down sides. 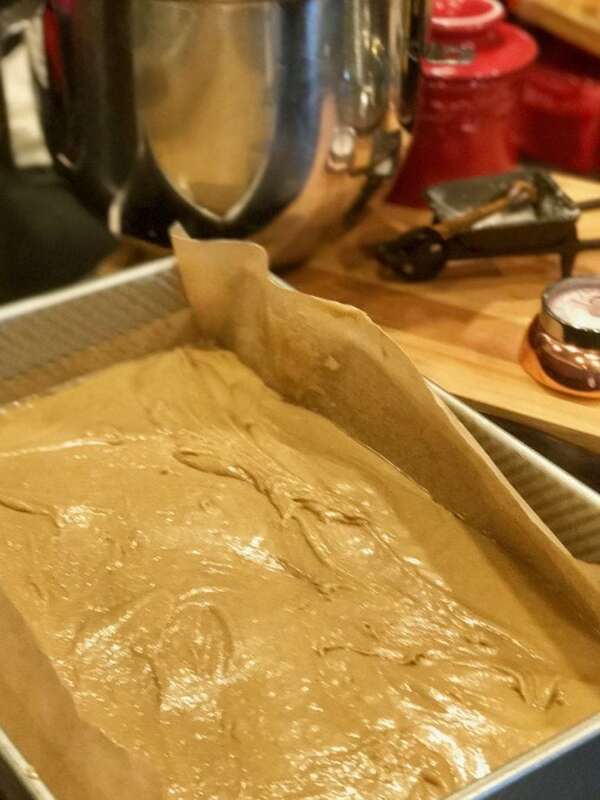 Spread evenly into the bottom of your prepared 9×13 pan, The dough will be thick, like peanut butter. Bake for 20 minutes or until the edges are lightly brown. Melt butter and packed light brown sugar, bring to simmer. Add ¼ cup milk and return to simmer whisking constantly. Remove from heat and add powdered sugar, whisking until incorporated and lumps are gone. 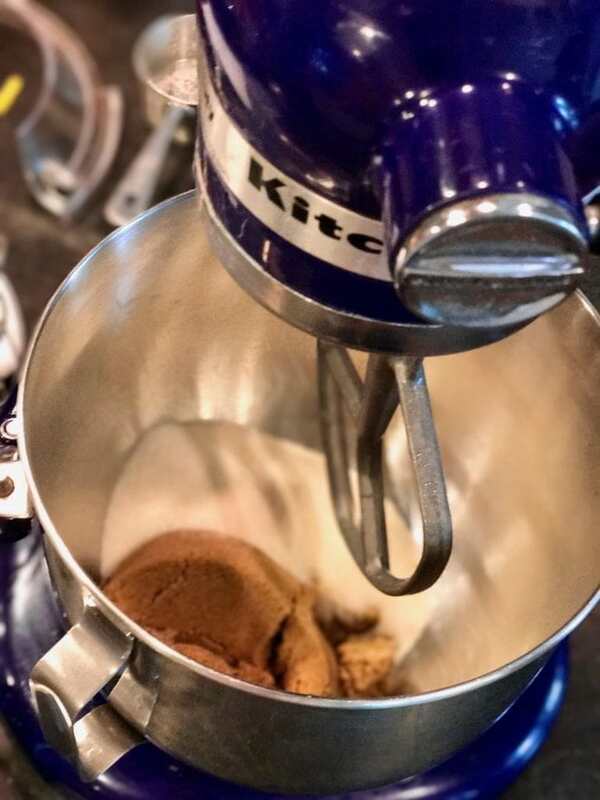 If needed, use hand mixer for smoothness. 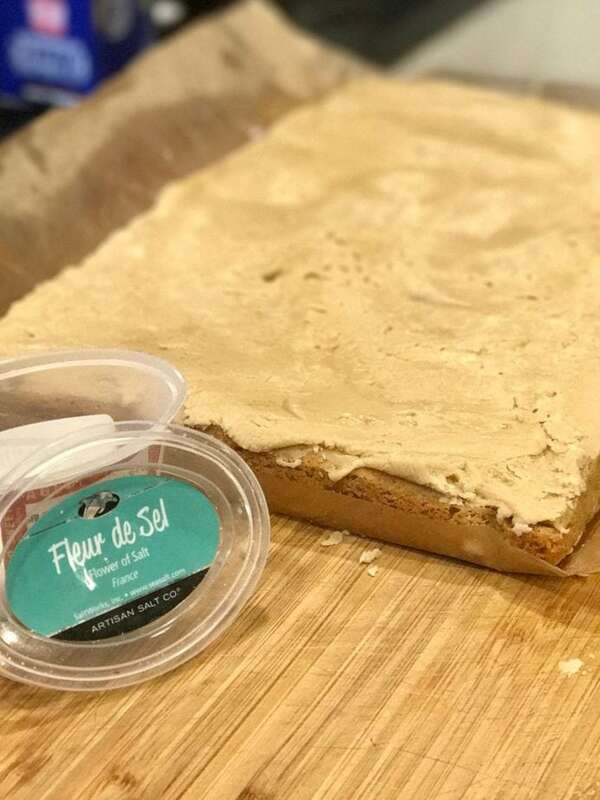 Frost cookies and sprinkle with sea salt, Fleur de Sel is wonderful, but not necessary. Cover any leftovers tightly, if there are any! 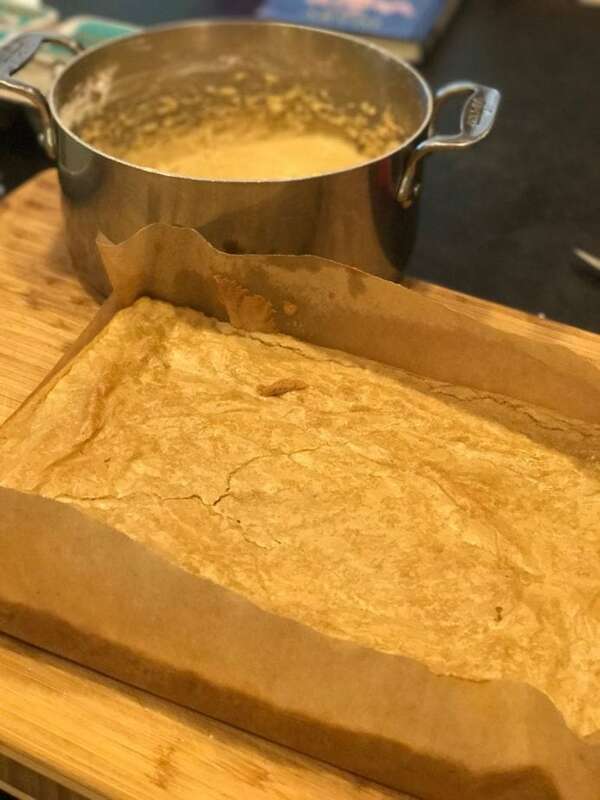 Copyright 2017 | This recipe for Browned Butter Sugar Cookie Barsfirst appeared on The Fresh Cooky. After reading these two recipes I WILL NOT “shut the front door” –I’m kickin’ it down to get to these! Oh BKS you make me smile! ?